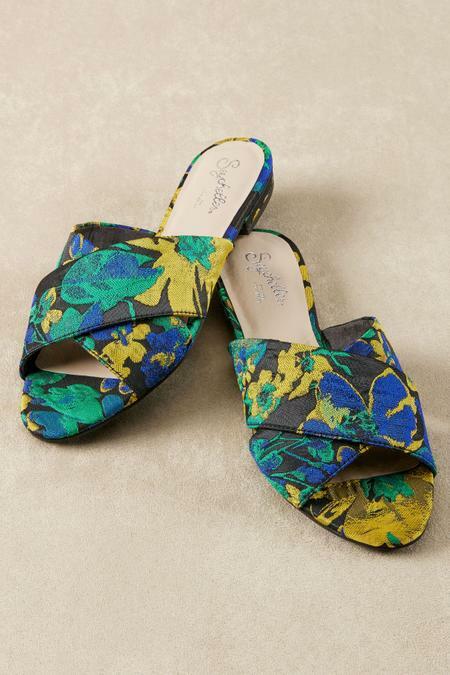 Richly hued woven brocade brings noteworthy sophistication to Seychelles' sleek slides. The gorgeous fabric covers the crisscross bands, toe area, outsole and heel. Finished with a fabric lining, padded footbed and synthetic sole, you'll love the casually glamorous look, going out or staying in. 1/2" heel. Black multi.